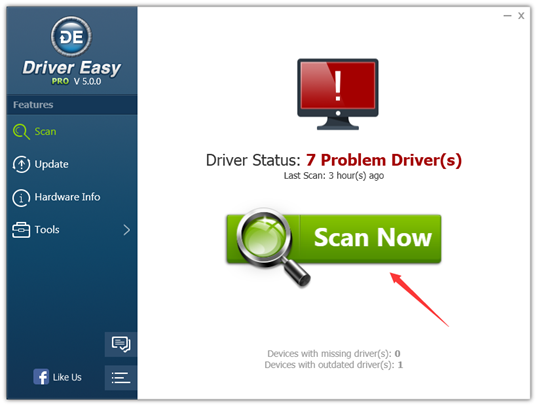 Driver Easy Free Download latest version 5.0.8 for Windows 32/64 bit. Get Driver Easy offline setup, standalone installer. Having the latest drivers ensures the stability and the performance of your computer. 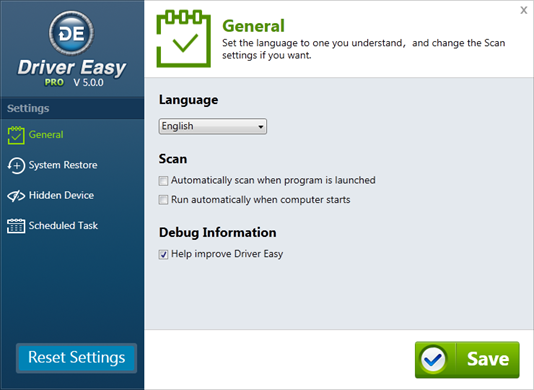 Driver Easy takes the job of updating your your computer’s drivers in an easy way. The user interface has a clean design and provides buttons to scan for drivers, to access settings, to see specifications of your system and other helpfull things. This application finds drivers really fast, but the download speed is limited to a maximum of 50KB/s if you’re running DriverEasy unregistered. 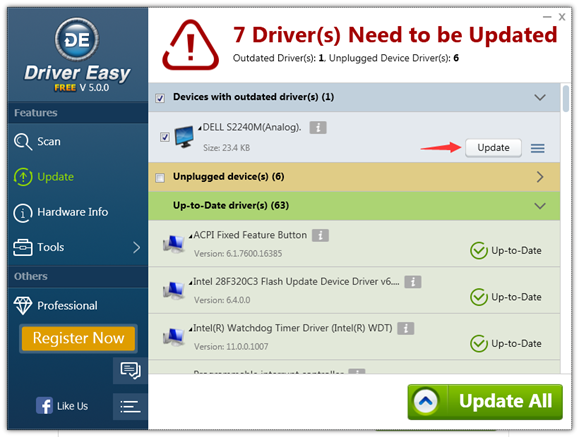 After you download the desired drivers you will have the option to install each one of them. Before installing, the program will create a system restore point, just like Driver Booster 3 and Smart Driver Updater. Backing up your drivers is a cool feature because you can easily restore them in case the new one is not working as it should do. This operation is made by going to Tools > Driver Backup, choose which driver to restore and click the Start Backup button. After the restore is done, hit OK and you have your old driver on duty again. They also have a solution about computers which are not connected to the internet. By using the Offline Scan located in Tools you can get the hardware information of a computer which lacks internet connection and use that info on a PC with internet to download those drivers that have to be updated. You can use the Hardware Information if you need to know what hardware you have installed on your computer. Driver Easy can also be set for scheduled scans if you want. If you activate the product you will unlock the Professional Version which gives extra features like auto restore point creator, faster driver download speeds, driver backup, restore and uninstall. Offline Scan: you can save the results of a scanned computer which does not have an internet connection and later use a internet connected computer to download those drivers. Backup and Restore: have your drivers saved in other locations in case you need to roll back them in the future. Over 8 milion driver database. Great driver scanning engine: you don’t have to wait hours to find drivers for your hardware devices. Smart download servers: download and install drivers and updates faster. Click the link below to start the Driver Easy Free Download Latest Version. If you have any problems while downloading please leave a comment below. After the page opens remember to choose the “Download through your browser” option to start downloading Driver Easy Offline Installer, Standalone Setup.